Whenever I head over to a friend’s house, one of the first questions I have to ask (if I’m in a bad network area) is, “Hey, what’s your WiFi password?” Usually, that is answered with some embarrassing phrase or crazy long number-letter combination that makes no sense. This is where Instabridge comes in. 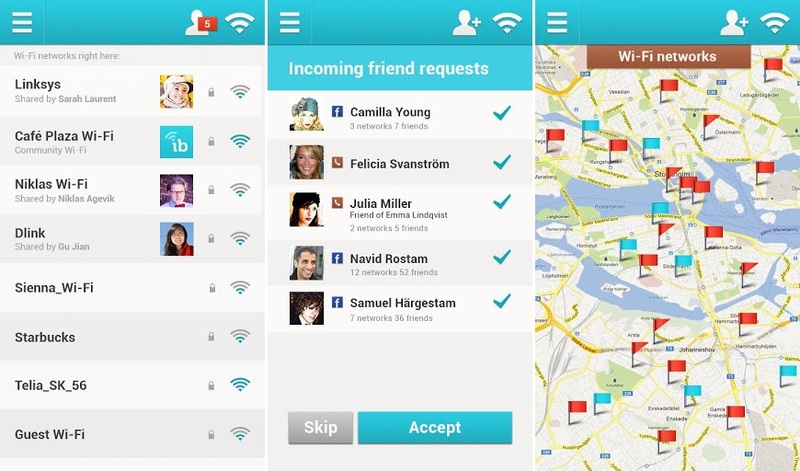 With Instabridge, you can grant access to your WiFi network with the press of a single button. There is no exchange of passwords or anything. Also, if you are at a coffee shop with a group of friends and they each have the app installed, once one of you connects to the shop’s WiFi, you all instantly connect. To look at the broader picture, if everyone was using this app and sharing their networks with friends, which they shared with their friends, you would find hotspots across an entire city. It’s a pretty sweet idea. Watch their promo video below which humorously displays the great ways to use this app.